September 7, 2012 — A small crowd of Ethiopians gathered outside the Ethiopian Embassy in Washington D.C. over the weekend to celebrate the death of the former Prime Minister Meles Zenawi. In a show of defiance to the regime in Addis Ababa, the group cheered, danced to music and held up poster-sized images of Ethiopian civilians who were killed by the late premier's notorious security apparatus. The demonstrators came together after learning of another smaller group of regime loyalst made up of the ruling party's power base of Tigrayans were going to assemble at the embassy to mourn the late dictator's death. 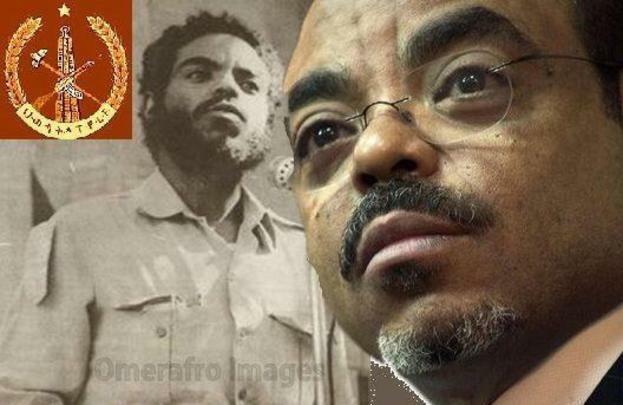 Meles, who ruled the country with an iron-fist for 21 years, was laid to rest on Sunday, September 2, where a number of heads of states and dignitaries payed their final respects to the former guerrilla fighter's life. During his rule, Meles is said to have killed tens of thousands of Ethiopian citizens, including the brutal killings of 193 unarmed civilians in 2005 and the massacres of more than 400 Anuak civilians in the Gambela region in 2003. Dr. Gregory Stanton, the head of Genocide Watch, a non-profit human rights organization based in D.C., accused the late primer in 2010 of being a 'genocider' for his numerous atrocities in the Gambela and the Ogaden regions of Ethiopia.